Kickstarter Campaign was successfully funded! Dice and Danger is a site for parents to introduce their children to the wonderful world of gaming. 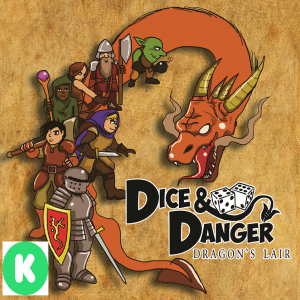 Our first board game, Dice and Danger Dragon’s Lair, will be available to place under the tree this Christmas (2017). Want a copy? We’re fulfilling Kickstarter Rewards at the moment, but will soon have additional copies for sale online and at stores near you.